Survey the Data Center Foundation. Validated Designs provide system designs based on common use cases or current engineering system priorities. They incorporate a broad set of technologies, features, and applications to address customer needs. 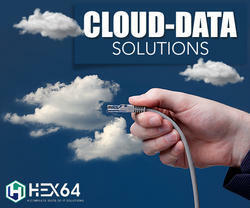 Embarking on our strong domain expertise, we offer well-planned array of Data Centre Network Solution. Our services are the perfect amalgamation of quality and authenticity. They are planned and are delivered in varied technical configurations. Our entire services are executed in planned manner. 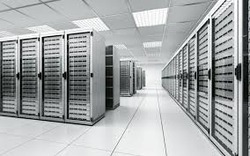 A data-center is a facility used to house computer systems and associated components, such as telecommunications and storage systems. It generally includes redundant or backup power supplies, redundant data communications connections, environmental controls (e.g., air conditioning, fire suppression) and various security devices. Core to any organisation's need of centralized operations is to make data and data processing solutions available to its internal users, customers and service providers without any hindrances or downtime. Backup, Recovery and Archiving Solutions Servers and Storage Visualization. - We have comprehensive range of server & storage (NAS, SAN and DAS) solutions which are designed to complement every stage of your business growth. From easy to own entry level servers to highly expandable & scalable products & services and it allows you to focus on the business by providing reliable, hassle-free technology. Fexilon Technologies has developed the methods and processes needed to monitor, manage and improve the performance of the DC effectively. Our CFD based Thermal Assessments tools together with proficient monitoring helps DCs to save up to 40% OPEX. - Our ability to consult across the key Data Centre disciplines of IT and Facilities Management (FM) means that we offer a one-stop service covering all elements of a Data Centre project’s life cycle from strategy, through to design, migration planning, execution and on-going support. Nine A Business Connect Pvt.Ltd. - TAL has been promoting and creating Datacentres to provide highavailability for both IT & Non-IT Infrastructure. One company to consult for the planning, design, build, monitoring, maintenance and upgrade for the entire data center physical infrastructure.